Ever wished you could work on you official document from your favorite spot or access your confidential file without being physically present in office. If “YES”, then Whitehats offers you the best VPN solution. A VPN or Virtual Private Network solutions enable clients to establish long distance or secured network connections. Secure connection to your office from another location. Clients usually have to rent network capacity such as dedicated lines to achieve full secured connectivity between their office locations. With VPN you use public network infrastructure including the internet to make these connections and tap into the virtual network through much cheaper local leased lines or even just broadband connections to a nearby internet service provider. Our solution enables clients to connect to their private office network from a different location and access their server files, printers, CRM /ERP and accounting applications remotely. We offer a multi-platform solution that supports Windows XP, Windows7, Windows 8 and MAC OS X Lion. It also supports mobile devices like Apple IOS, Ipad, I phone, Ipod touch so the users may connect to their private network through their smart phones. The licenses provided by Whitehats are suitable for business with as small as 2 user vpn server upto 10 and more and additional licenses can be added any time. Our solution is green. 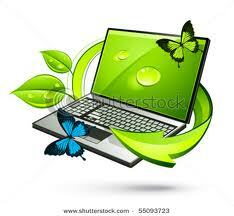 The rapid progress in technology is resulting in more and more ewaste in our offices and homes. To reduce ewaste and be cost effective we can also convert your old PC to a VPN server.